If your family loves the Christmas magic of Robert Zemeckis’ 3D computer animated classic The Polar Express – and how can they not? 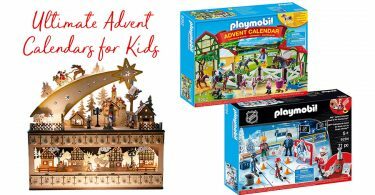 – you’ll want to mark your calendar for the ultimate holiday event we’ve been looking forward to all year! Throw on your favourite fuzzy PJs and get ready for a magical adventure on the Polar Express in Squamish this November and December! 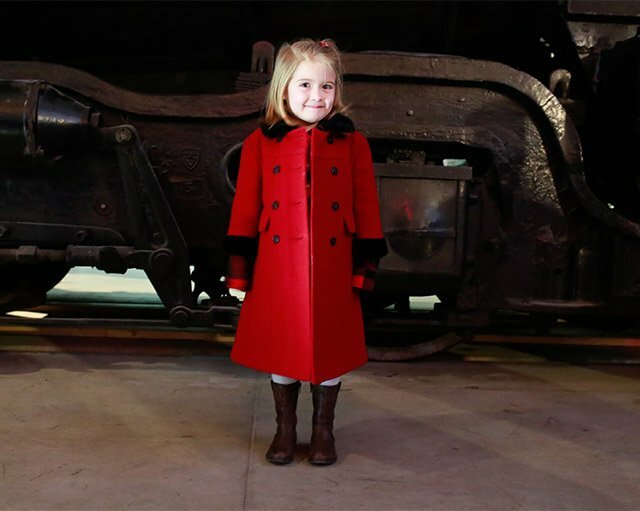 Claim your golden ticket, sip hot chocolate, and nibble cookies while you ride the Polar Express to the “North Pole” located in the West Coast Railway Association Roundhouse. Once you get to the “North Pole”, you and the kids can visit with Mr. and Mrs. Claus from 10:00 am-6:00 pm on Saturdays and 10:00 am-4:00 pm on Sundays. Be sure to bring your own camera to capture the magical moment! 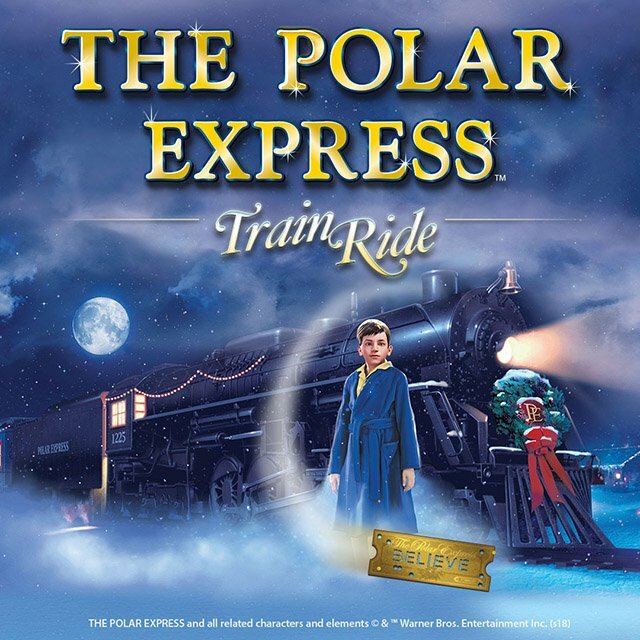 All tickets on the Polar Express also include one ride on the special mini rail ride located inside the “North Pole” (additional rides by donation). This is going to be my girls’ first time visiting the Polar Express, and they can hardly wait! We have a viewing of the movie scheduled next week to get them warmed up for all the holiday happenings at the “North Pole”, and they’ve already picked out their pyjamas. I’ll tell you a little secret though…I think I’m just as excited! The Polar Express runs Saturdays and Sundays from November 24-December 16, 2018. * Please arrive at least 45 minutes prior to your departure time so you can pick up your tickets and board the train before departure. 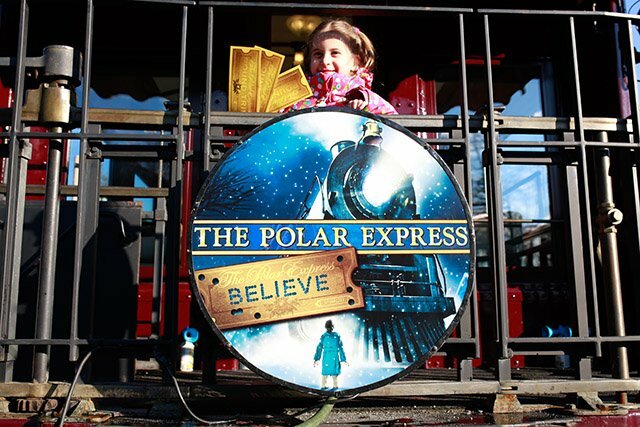 The Polar Express is located in the West Coast Railway Heritage Park in the town of Squamish, BC. From Vancouver it is about an hour’s drive north on Highway 99 along the spectacular Howe Sound to Squamish. Go approximately 2 km past the McDonald’s until you come to Industrial Way. There is a traffic light at the intersection. Turn left and go to the stop sign at Queens Way. Turn right and follow the signs. After the BC Rail tracks, you will see the entrance sign on the right. * Please note you must have winter tires on your vehicle to drive up the Sea to Sky Highway (Hwy 99). 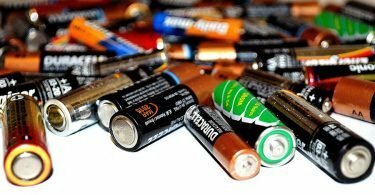 Parking is $5.00 and available across the street in the parking lots by the train tracks of the BC Rail property. Anyone needing special assistance/drop off procedures can access the drop off circle just outside the main gate of the Heritage Park. Tickets start at $35 for Candy Cane class, $52.50 for First Class, and $59.00 for Premium First Class. Tickets are already on sale and going fast! Buy your tickets online at WCRA.org or charge by phone at 604-229-1103. Disclosure: This is a sponsored conversation. 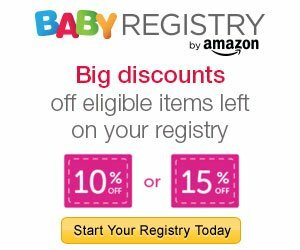 Nevertheless, I only share information I believe will be of benefit to my readers. Your experience may vary. Polar express is one of our favourite Christmas movies. This looks like an awesome way to celebrate the holidays with family. I just got our tickets! So excited! My little grandson got to see the Polar Express Train in Smith Falls and he was just over the moon. He was so excited and it was delightful to see the train and to watch his excitement. I took my son to the spring Thomas event at West Coast Railway but never considered a winter visit. This would be magical if we were lucky enough to get snow lol!